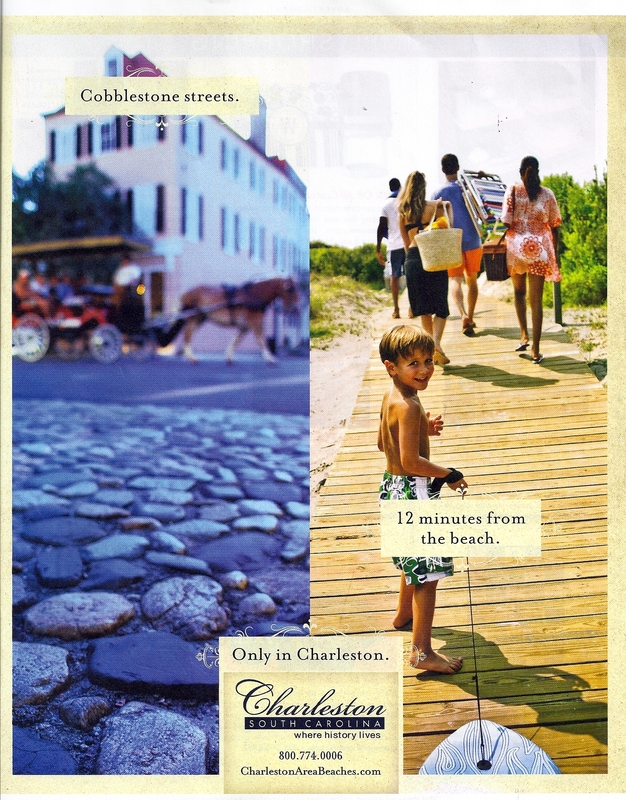 Charleston, South Carolina, attracts families and friends with Southern history and ocean-side entertainment. Advertisement. 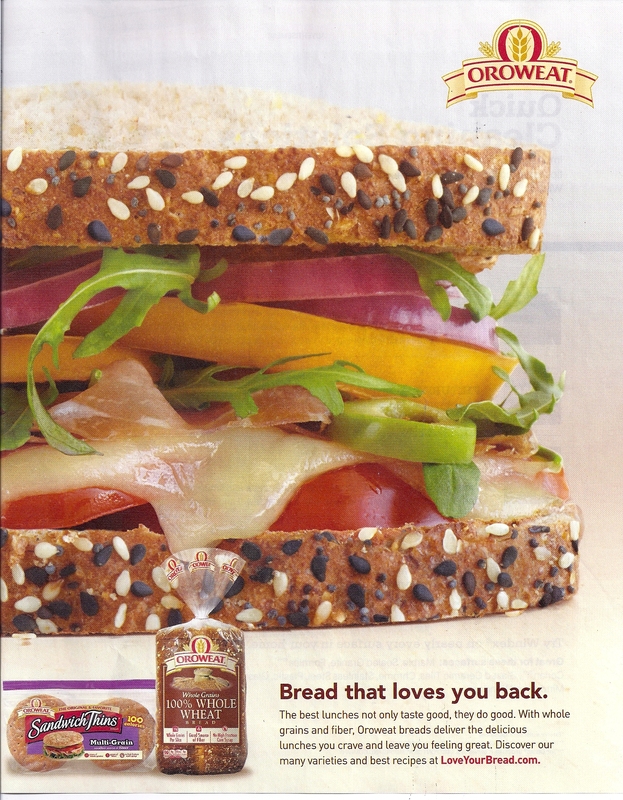 Orowheat has pitched a product in such a way that provides 100% whole wheat to be used to sop up the drool of we who are “starving” to lose weight and seeking a healthy guilt-free alternative to over-consumption. Advertisement. If you are the proud parent of a perfectly precious feline, you surely ust create the pristine and purrfect peace that every family pet deserves. 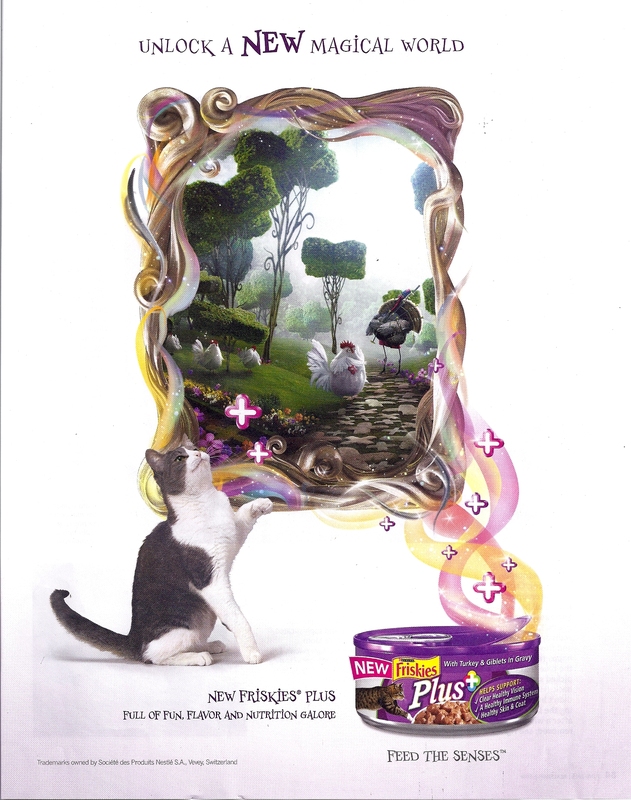 New Friskies Plus will make your pet contently purr because of the perfection of his perky condition. Advertisement. 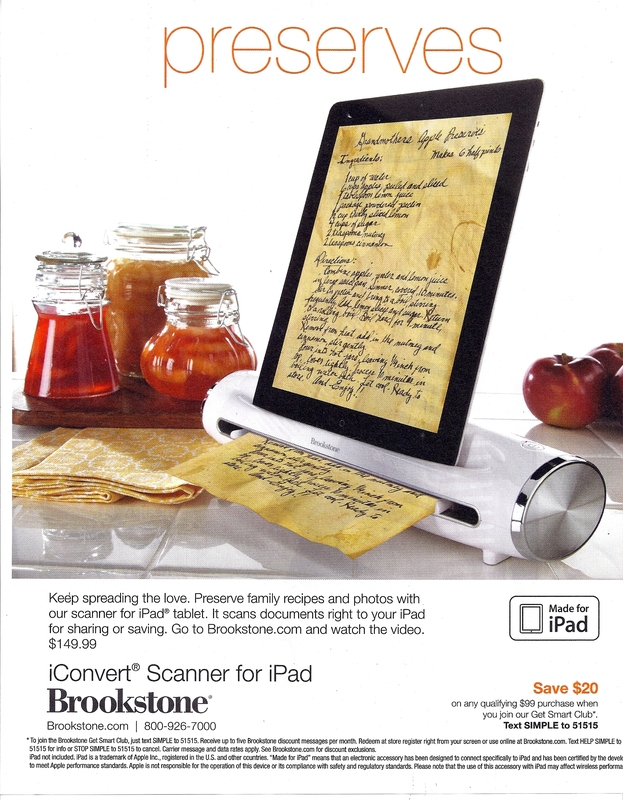 The Brookstone advertisement for its iConvert Scanner for iPad uses nostalgia for traditional family recipes to seduce the consumer into buying its exorbitantly priced technology so that the past can be “preserved” in new ways (pun intentional). Advertisement. 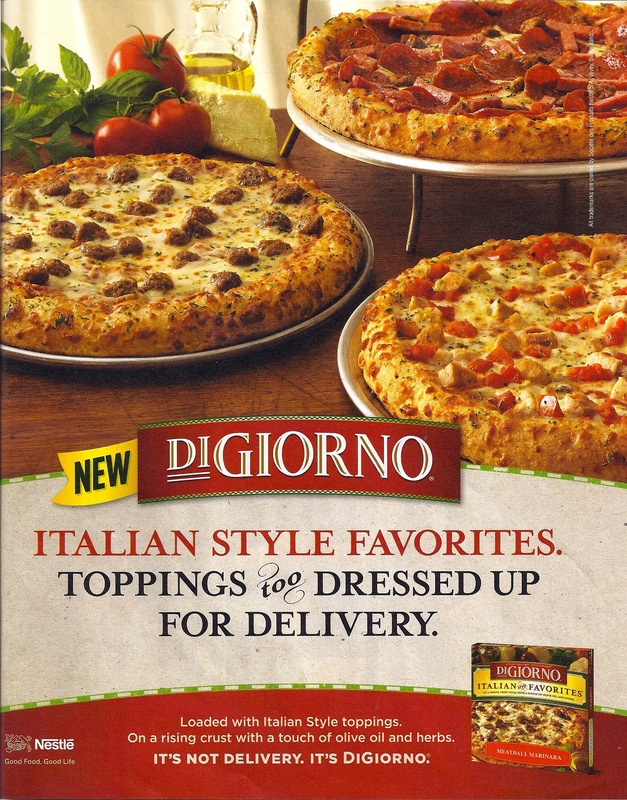 This DiGiorno advertisement is targeting a hungry pizza lover because, with the use of clear and distinct pictures, DiGiorno draws you into the savoryness that the pizza exudes. And if the melty cheese and Italian herb crust isn’t enough to entice you, let me direct your gaze to the middle of the page, the brightest color on the page, the brilliant yellow flag with the word “new” in it. So for all you cynical food critics who think you’ve seen it all, you’re wrong! DiGiorno is allowing you to take part in this “new” revolutionary feast of DiGiorno pizza. Advertisement. 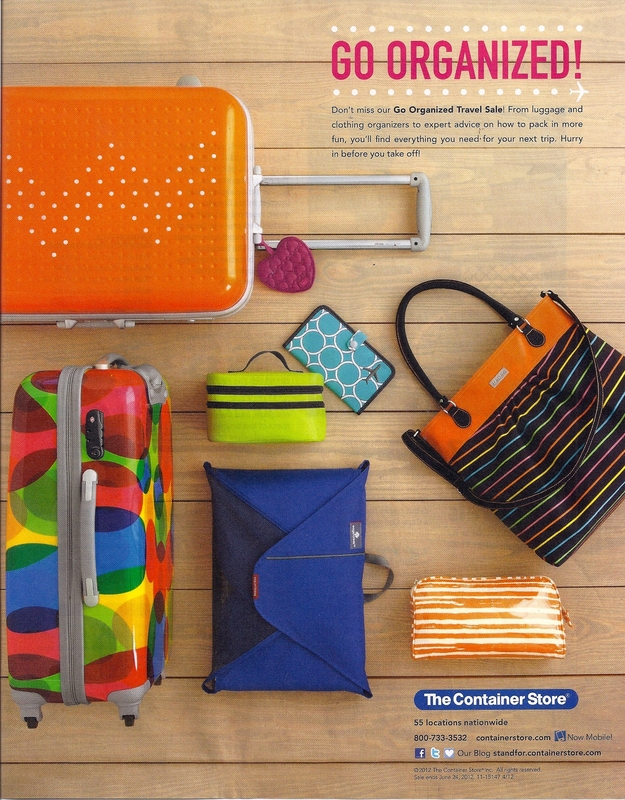 The Container Store’s magazine ad titled “Go Organized” is extremely colorful, spatially aesthetic, and, well, organized. Everything you need to travel easily and efficiently is displayed snapped, clasped, zipped, and hanbdle ready for a fun, color-coordinated, simple getaway. Advertisement. 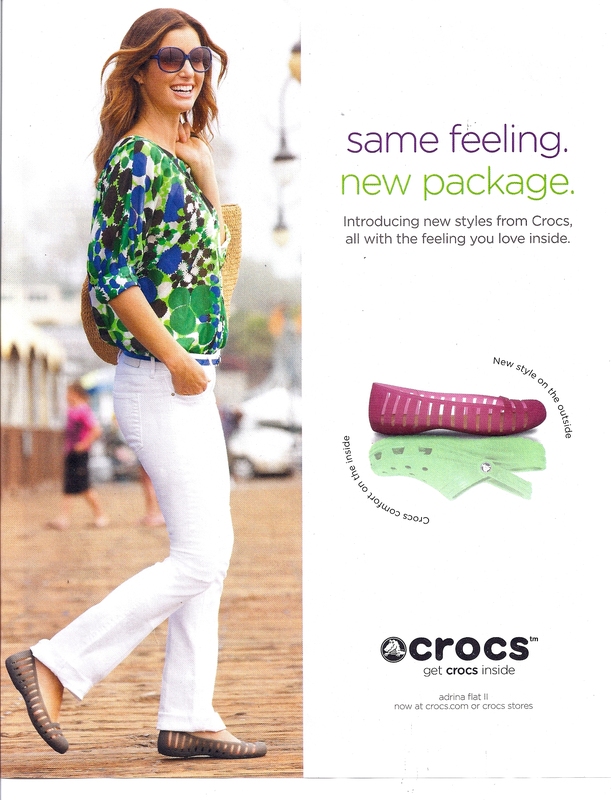 The ad for the “new styles” from Crocs reassures us that it has the “same feeling,” but the updated, more streamlined, feminine design appeals to our sense of fashion, more so than its clunky, oversized cousin. Advertisement. 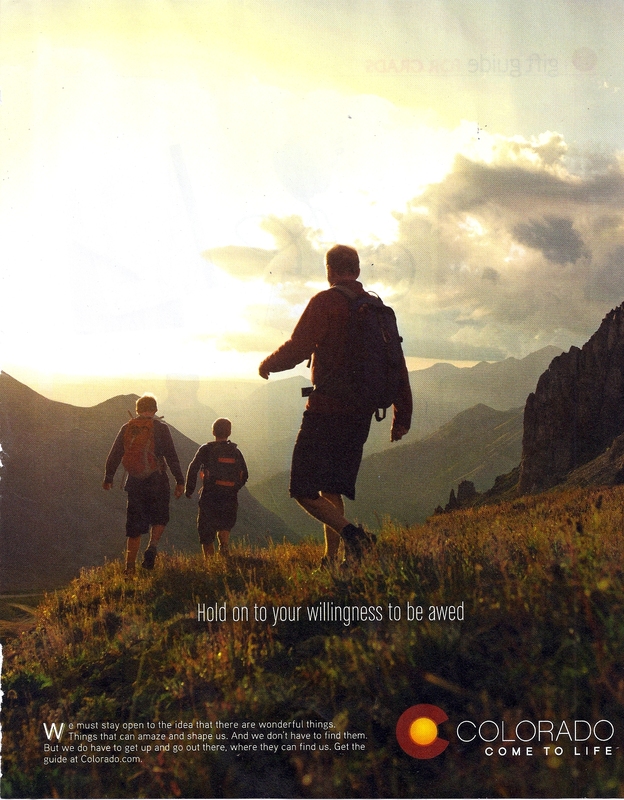 The effect of this ad for Colorado conveys a sense of mystery and awe because of the pathos created by the panoramic view. Mountains, sky, and sunlight stretch outward onto an endless horizon. The suggestion is that this is a place where generations of families will be nurtured and life will be enriched. The contrast between light and dark earth tones promotes Colorado as a state that is full of possibility and hope. Advertisement. 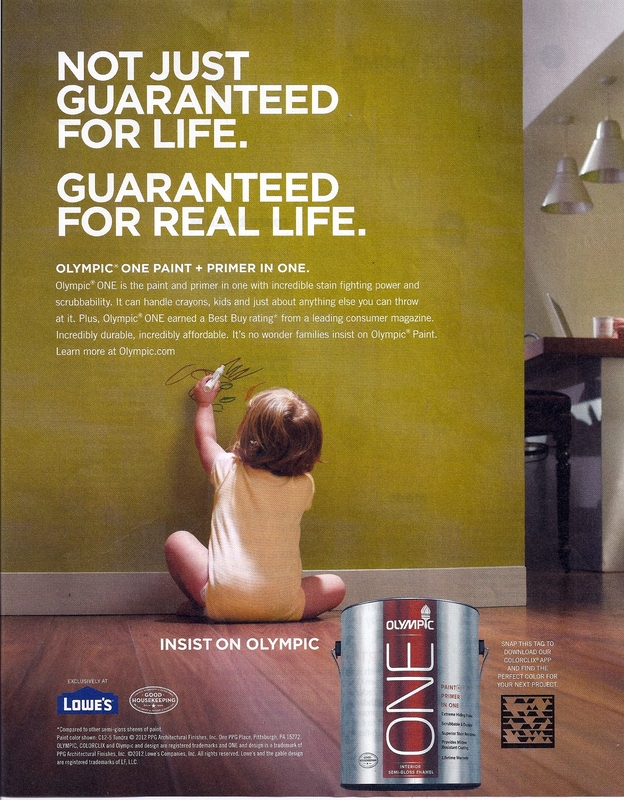 Olympic One paint is the perfect paint for homes with children because, as the ad points out, it’s “not just guaranteed for life [but] guaranteed for real life.” The ad shows a baby coloring on the wall, and anyone who has children or has been a child knows coloring on the wall will hurt the paint. But with Olympic One, families can rest easier knowing that when Tommy or Suzie decides to redecorate, the money spent on the new paint job will not have gone into the toilet. To further ease Mom’s and Dad’s minds, Olympic One has received the Good Housekeeping Seal of Approval and is sold exclusively at Lowes – a trusted retailer for home improvement. Advertisement. 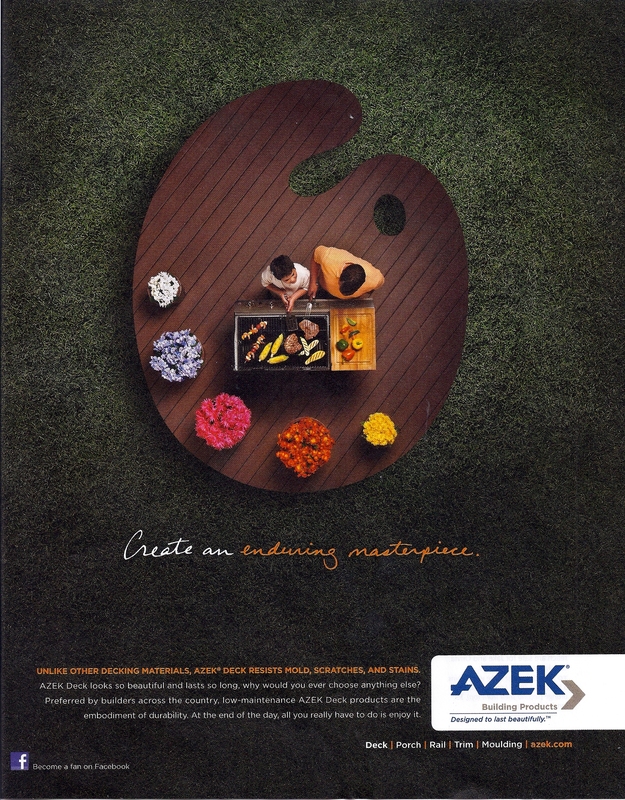 The print ad for AZEK Building Products catches the reader’s eye with a back deck formed into the shape of an artist’s palette, framed by a field of perfect grass. In the center of the deck/palette is a father teaching his young son to grill. Underneath this image are the words “Create an Enduring Masterpiece” in a handwritten font. The use of the colors green and brown are natural, emphasizing that it is natural to want to create beauty, and the subtle message is that a father shaping his son’s life is the ultimate creation, your “enduring masterpiece.” This ad is effective because it appeals to our desire for beauty in our lives and our affection for our children, both examples of pathos. In short, good dads will use AZEK. Advertisement.